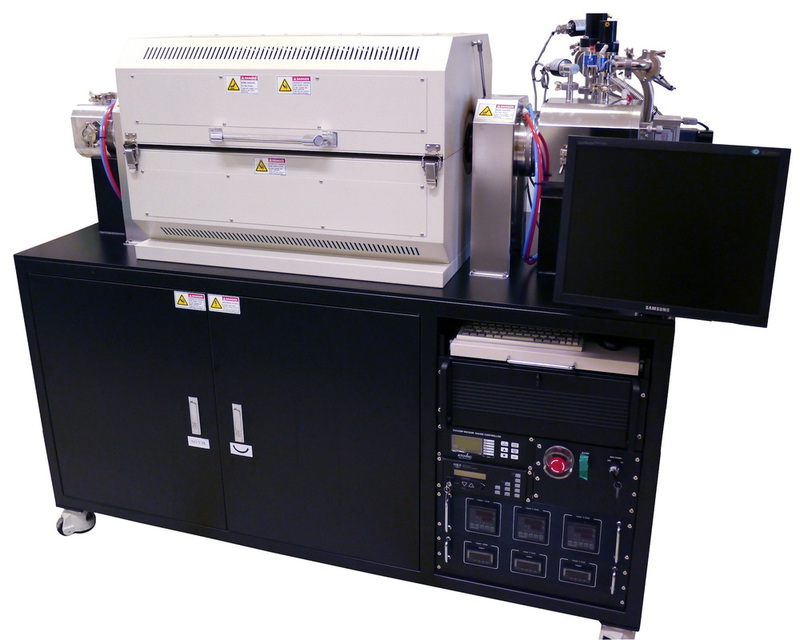 The planarGROW series of thermal CVD systems for graphene (and CNT growth with minor modifications) is a horizontal hot-wall reactor system. 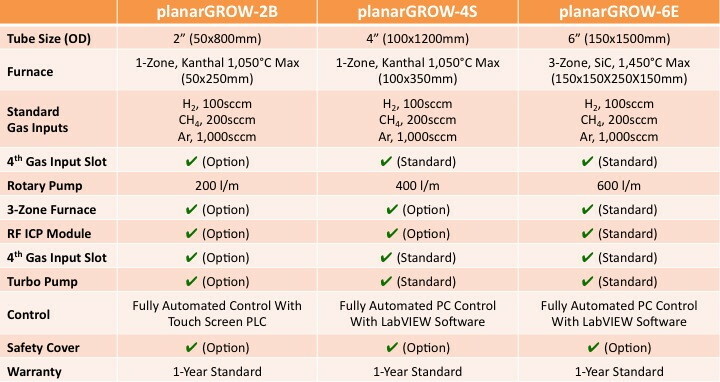 We offer three standard system configurations (planarGROW-2B, planarGROW-4S, and planarGROW-6E) as shown in the table below. 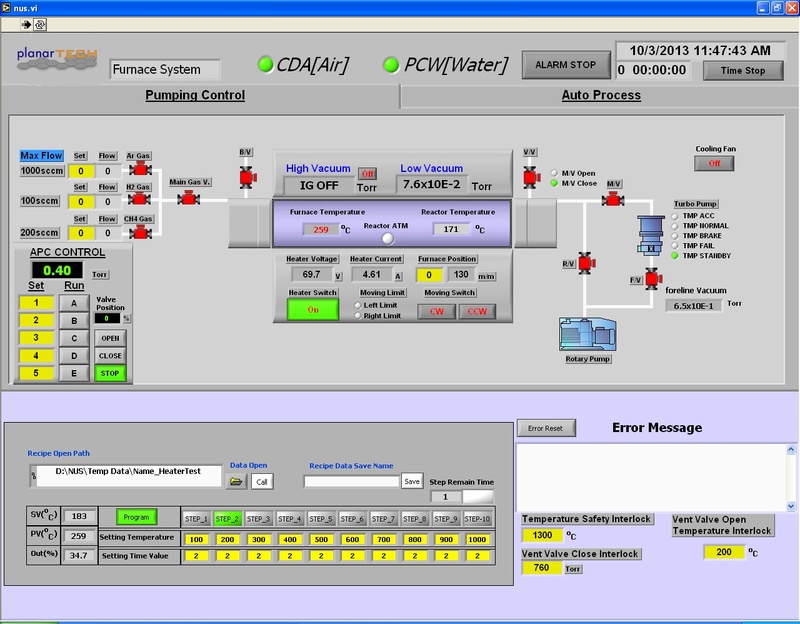 However, each of these standard systems can be customized to the user's specific application requirements. 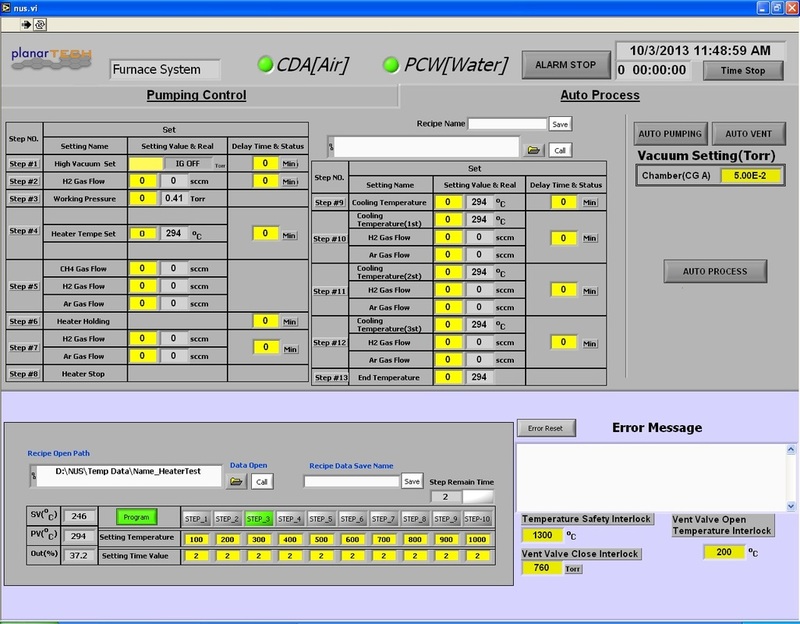 A more detailed system specification for the planarGROW-4S follows the table below. The planarGROW-4S is equipped with a 4” (100mm) outer diameter primary quartz tube that can accommodate large sized Cu foils. During synthesis, however, planarTECH recommends using one or more smaller 1.5” or 2” outer diameter quartz tubes as carriers for the samples. This has two benefits: 1) Cu decoration will mainly affect these smaller tubes, prolonging the useful life of the primary quartz tube; and 2) it allows for growth of multiple samples in parallel. 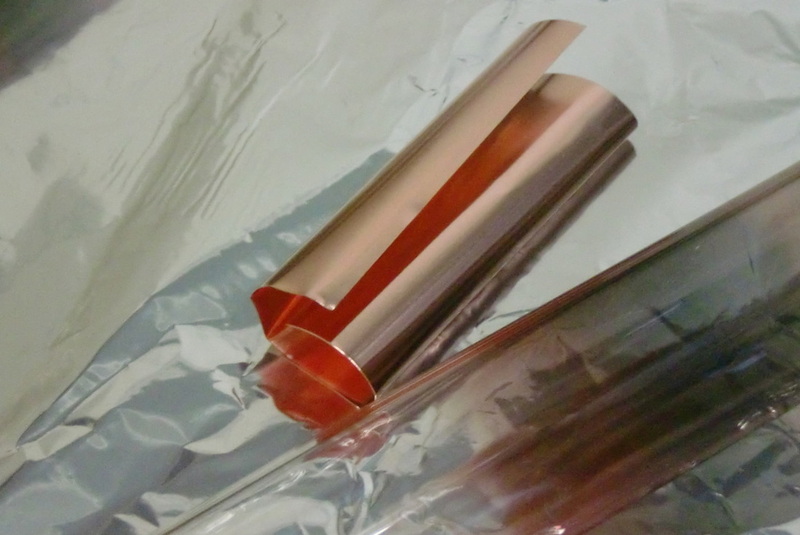 Even when using these smaller tube sizes, it is possible to grow samples on Cu foils up to 100x200mm. 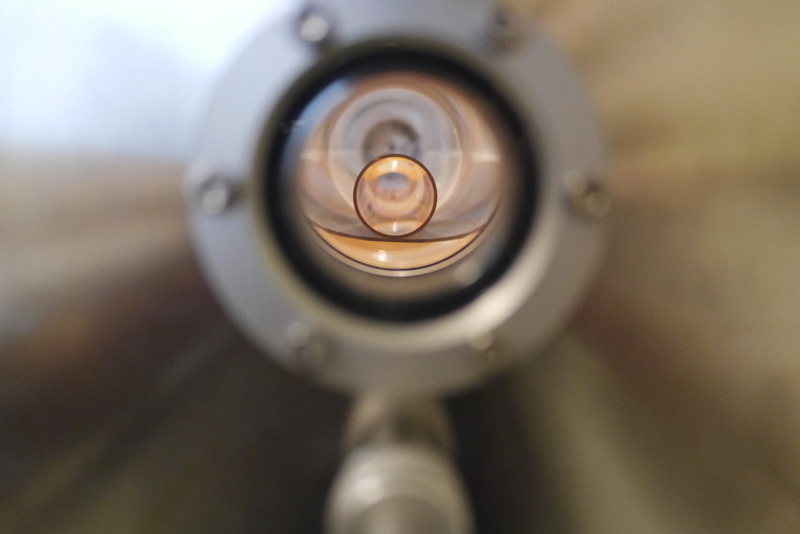 The images below-left shows a finished 100x100mm sample next to a 1.5” carrier quartz tube, and the image below-right shows a view of the carrier tube inside the furnace from the right flange viewport. 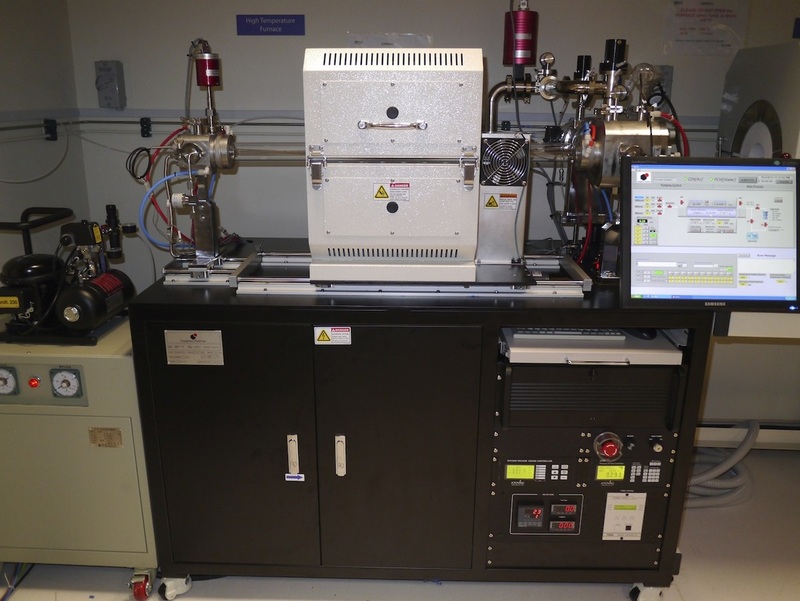 The figure below-left shows a typical operation cycle for graphene synthesis on a system with a standard Kanthal wire furnace. Fast run capability allows samples to be loaded at room temperature, processed and removed from the furnace after ~120 minutes. However, the actual time per run will be dependent on the recipe for graphene growth. (For example, growing large domain single crystals takes much more time than growing full coverage monolayer graphene with a smaller domain size. The default heater configuration of the planarGROW-4S is a moveable 1-zone furnace, which is controlled by the software interface. 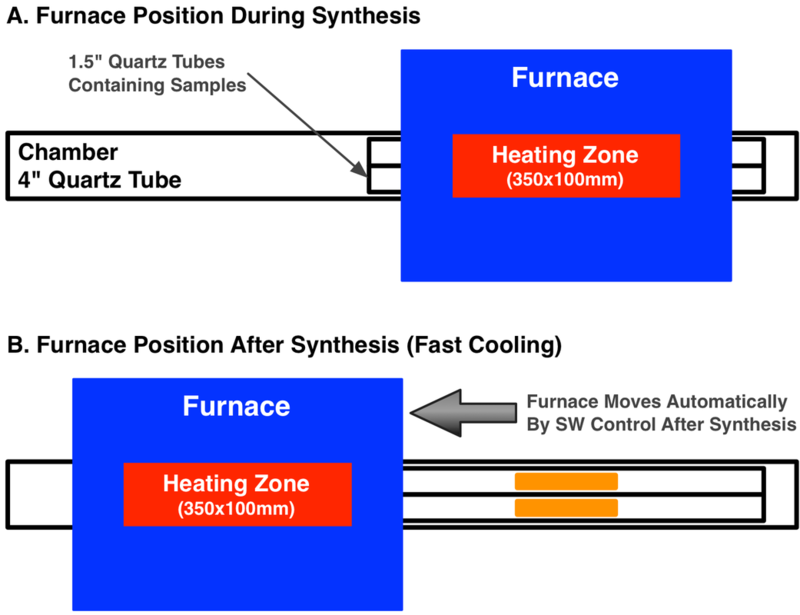 The software can be programmed such that after graphene synthesis has finished the furnace will be switched off and moved away from the samples to enable fast cooling operation as shown in the image below-right. 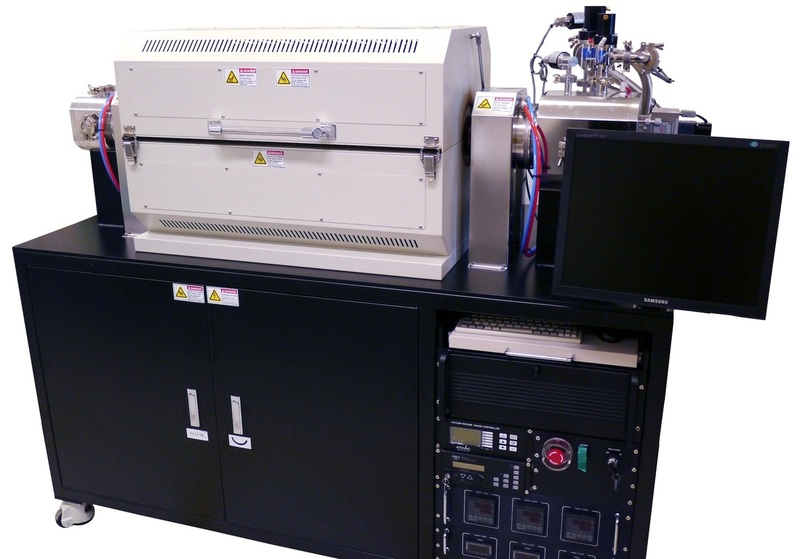 With over 15 years of use for carbon nanotube (CNT) and graphene synthesis, the planarGROW product line has been used to synthesize the graphene with experimental results published in leading academic journals. For a partial list, please view our References page. In addition, please view our Installations page for photo galleries of recent customer installation sites.